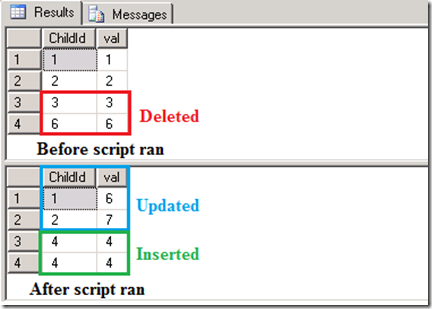 A week ago, I posted for Insert, Update and Delete statement with TOP clause and Merge statement as an individual post. If you haven't read those posts, then read it before to move next. In this post I used TOP clause with DML operations and Merge statement, but both are individual posts. Let me put these two posts together here and create new one. 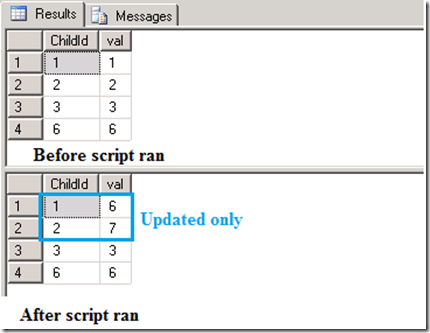 You can see from both images, with Merge statement with TOP clause updated only 2 rows and remaining insert and delete operation not happened which happened with Merge statement without TOP clause. Did you used both at once?